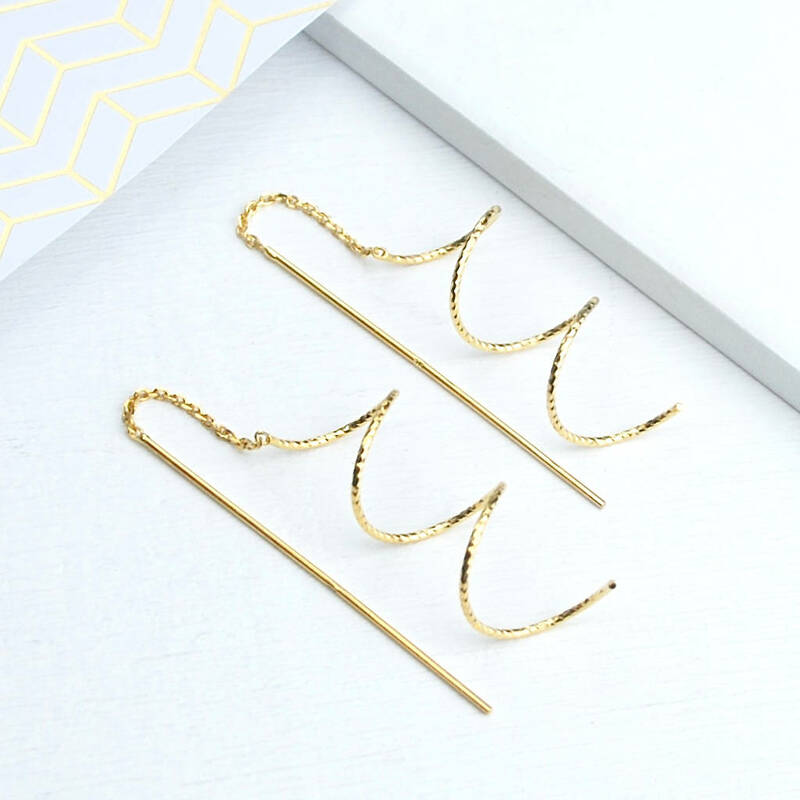 Exquisite "must have" Spiral Sparkle Earrings featuring a delicate diamond cut effect so that each earring catches the light beautifully. 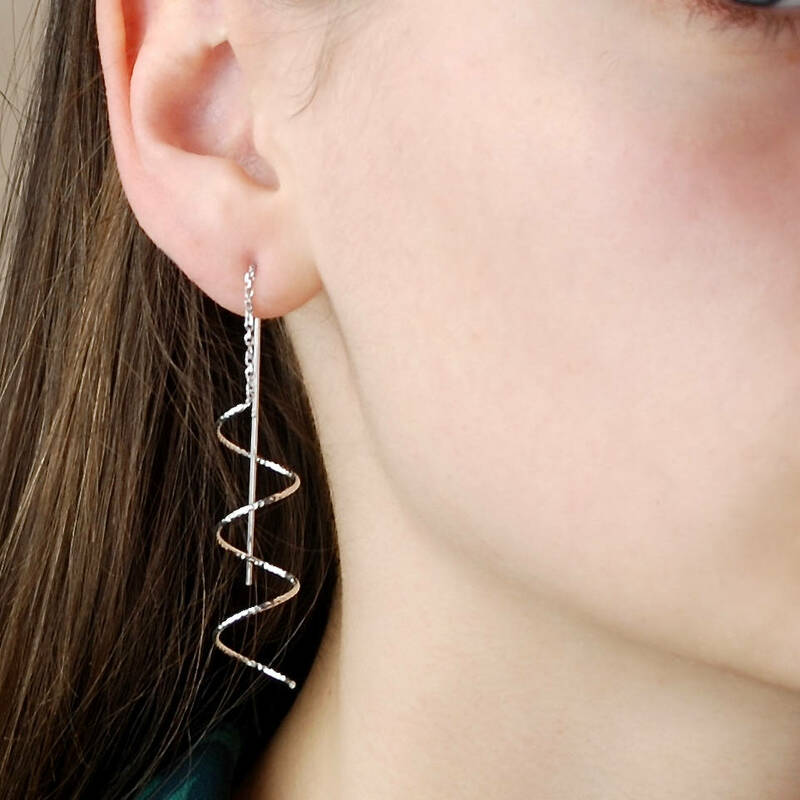 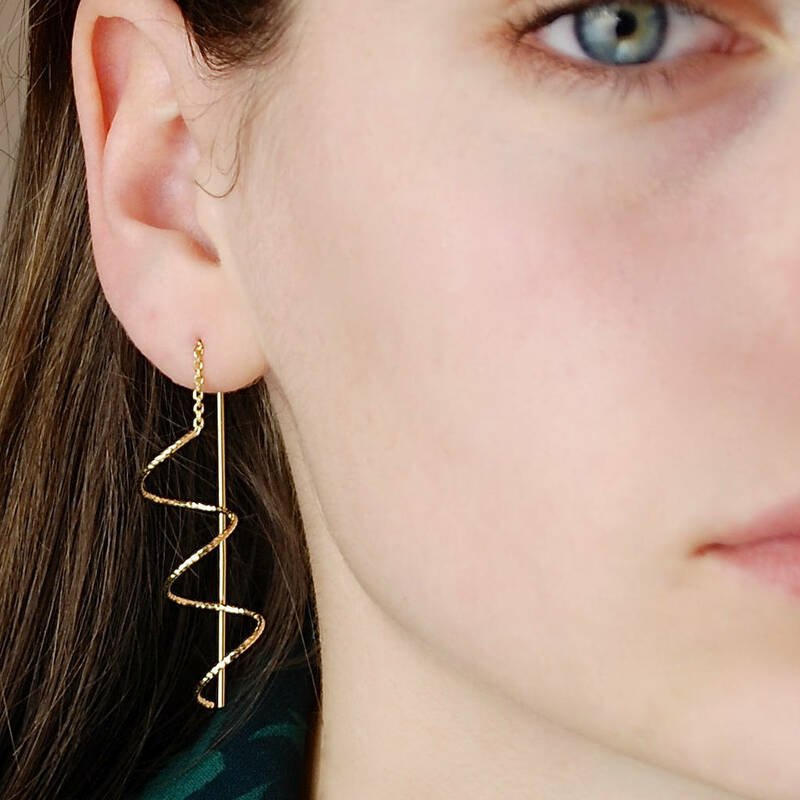 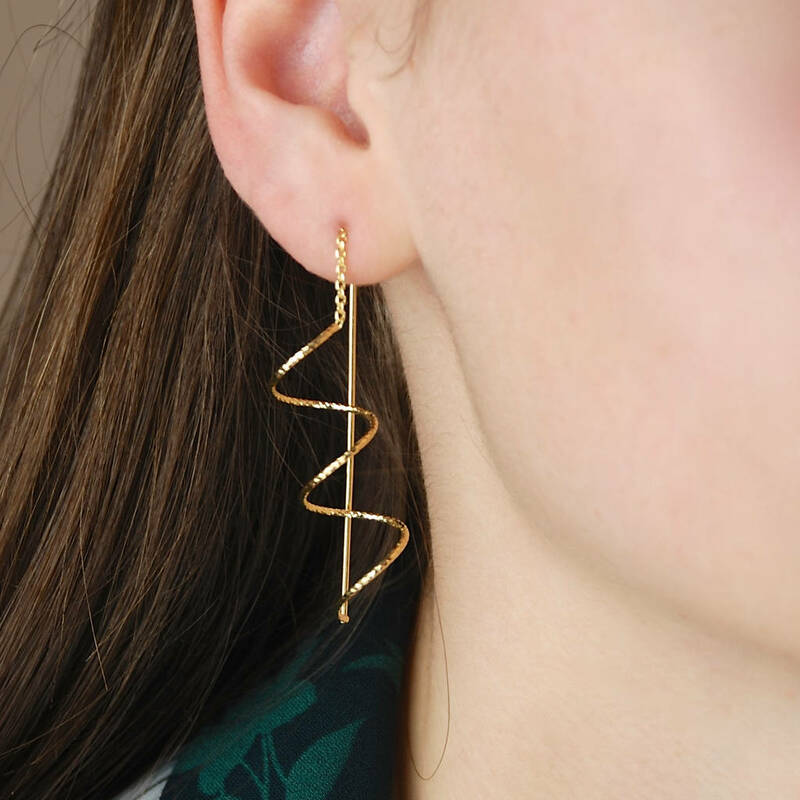 Super stylish and easy to wear, these spiral earrings simply thread through the lobe and hang beautifully against the neck. 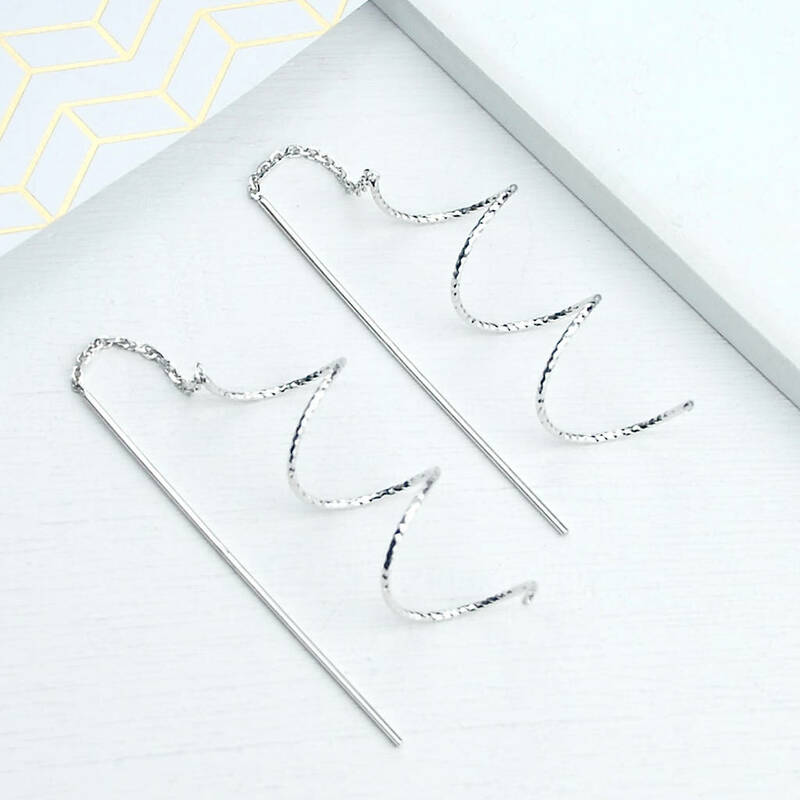 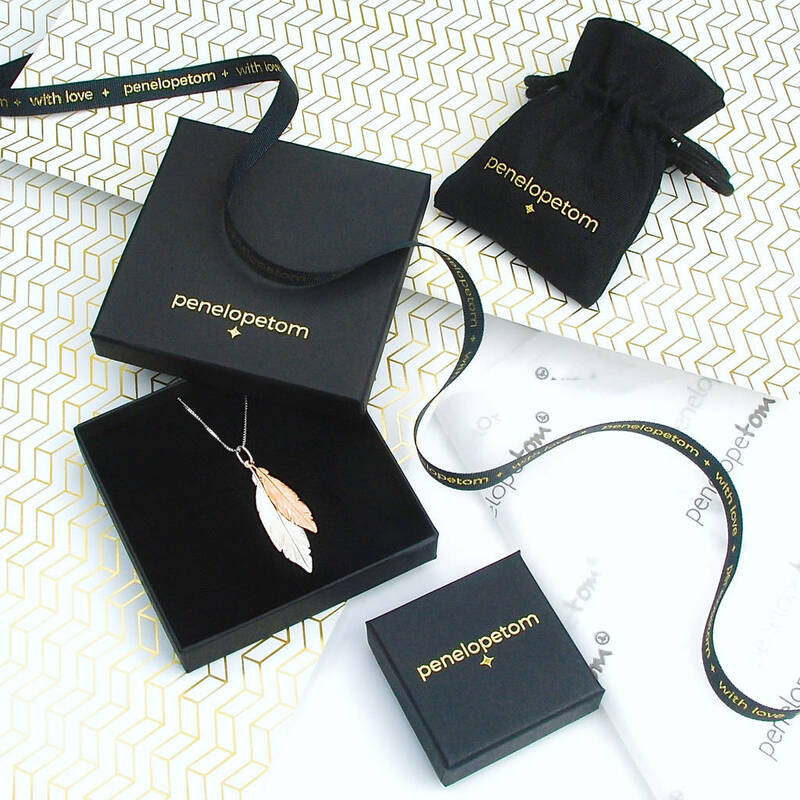 Made from the highest quality sterling silver, these sparkle effect earrings are a real treasure to receive or to give and will be loved for many years to come. 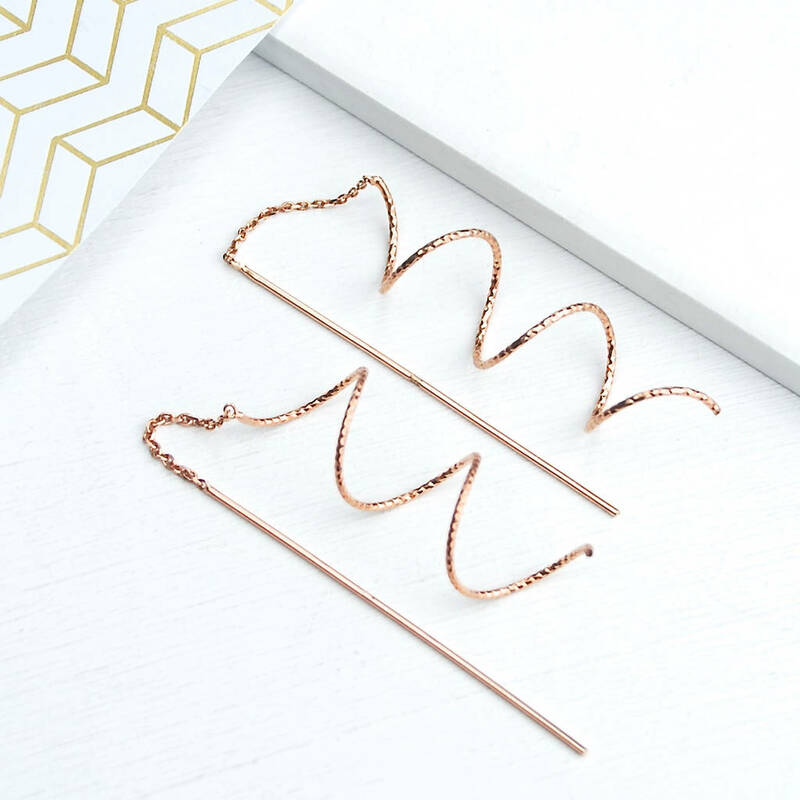 Perfect for a special event or evening and even great when worn with a more casual outfit, these spiral earrings are truly versatile.